Performance Contracting Group | Performance Contracting Inc. 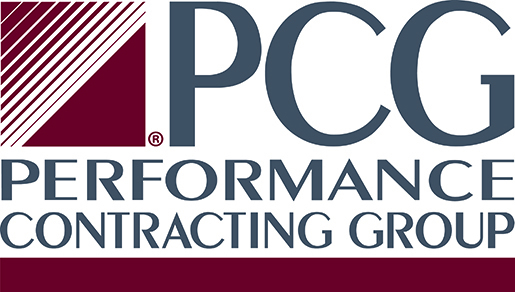 Performance Contracting Group, Inc. was formed in February 1987 when the 40-year-old contracting division was purchased from Owens Corning Fiberglas by several existing employees. Since then, PCG continued to expand geographically within the United States and Canada through organic growth and the successful acquisition of more than a dozen other contracting companies. International involvement through joint-venture projects and sales of specialized products continue to increase. More than 25 different industrial and commercial construction services are now offered as a result of continuing product line diversification. PCG’s diverse family of companies offer a wide selection of products and services throughout the U.S. and Canada. United by our core values, we deliver innovative contracting solutions that exceed expectations. PAS offers more than 20 years of service experience in Shrinkwrap Containment Systems, Demolition, Lead Abatement, Mold Remediation, and Asbestos Abatement. We employ all necessary engineering controls and equipment to fully contain hazardous equipment prior to remediation. PCI Promatec has been the leader in developing and providing Passive Fire Protection solutions for more than 30 years. PCI Promatec’s proprietary line of products are used in the vast majority of commercial nuclear plants in the USA, many DOE facilities, and markets in Europe and Asia. PCI Ardmac provides complete cleanroom construction. Services include Ceiling Systems, Particulate Control & Air Filtration, Design-Build Services, Wall Systems (non-progressive, demountable and structural) and Floor Construction (access, specialty and conductive). Located near Seattle, Washington, PCI Democon has specialized in demolition services for more than a decade. With every project, PCI Democon tackles environmental issues, public safety and health risks, employee safety hazards, and recycling processes. Masthead International has more than 30 years experience serving the domestic and international rigging, packaging and crating needs of high technology and other industries. We pride ourselves on providing unmatched service in safety, schedule, cost and quality. PCI Pacific Rim specializes in providing insulation solutions for commercial, industrial, marine and off-shore markets in Canada. We offer our clients the highest value in quality and customer service, ensuring you receive a superior result.